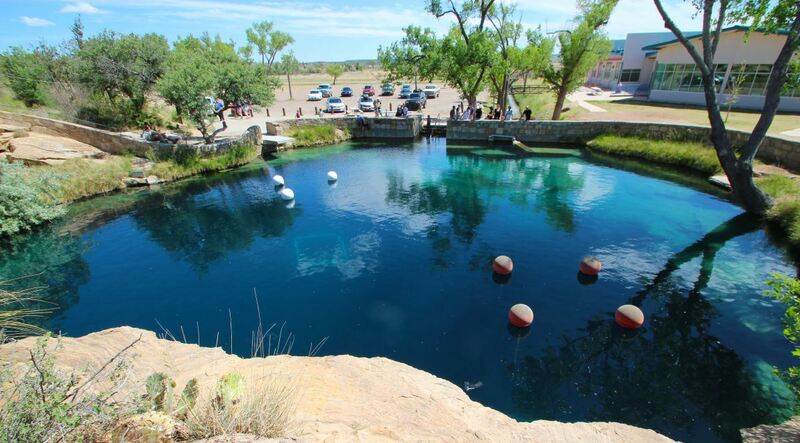 On the east of Santa Rosa, there’s bell-shaped pool called Blue Hole located off Route 66 in New Mexico. 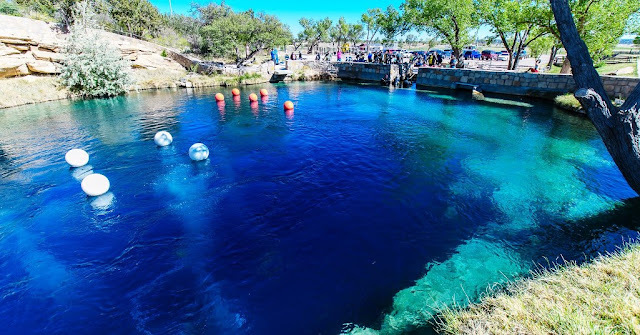 Like several other natural pools of its similar types, the Santa Rosa Blue Hole is a small body of water that seems to fill a surprisingly deep hole in the ground with shockingly clear waters. The circular blue hole is one of most popular dive destination in the US for SCUBA diving and training session. 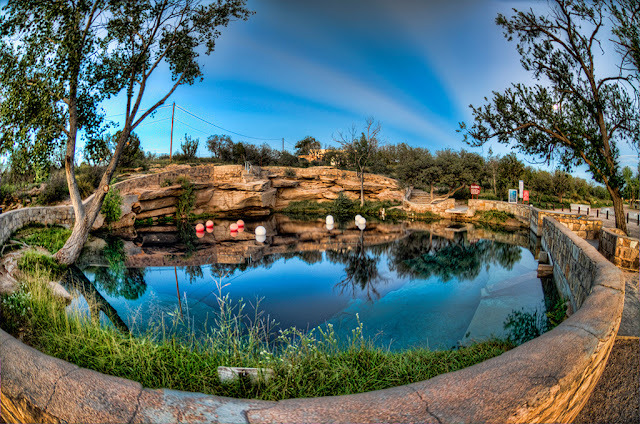 The arid climes is a natural swimming hole that has a hidden system of underwater caves which were unexplored until 2013. The famous Blue Hole is an artesian well that was once used as a fish hatchery. 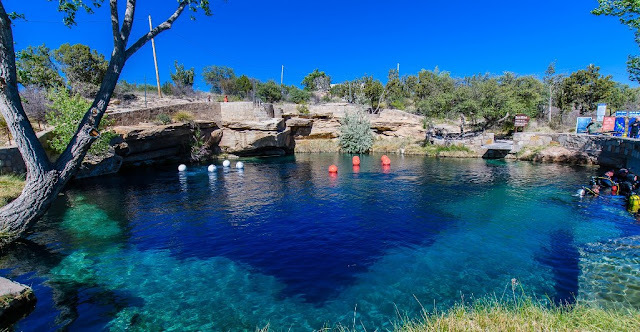 The blue hole has clear water with a persistent 62 °F temperature and persistent inflow of 3,000 US gallons per minute. 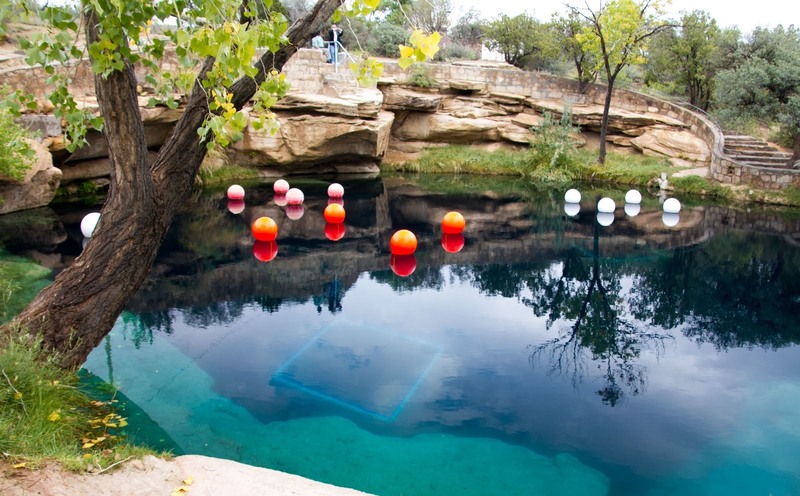 Though the surface is only 80 feet in diameter, it expands to a diameter of 130 feet at the bottom. 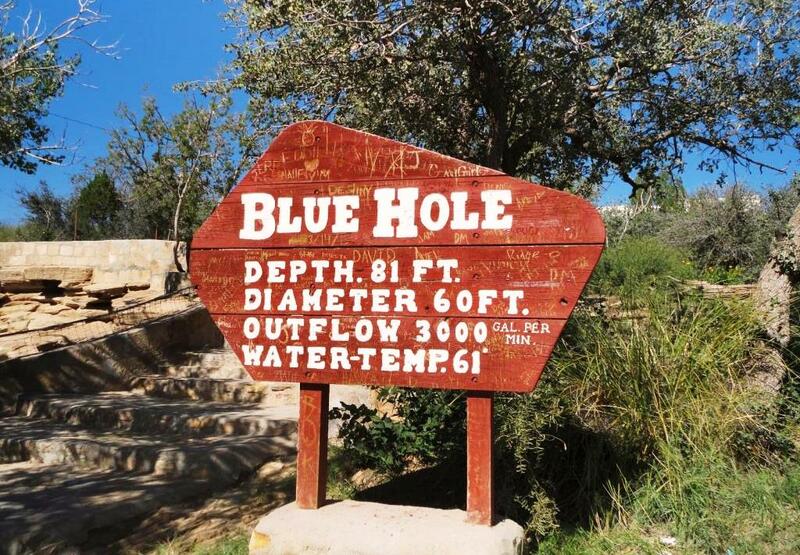 The site elevation is 4,616 ft, it is necessary for divers to use high-altitude dive tables to compute the dive profile and decompression stops when diving in the Blue Hole. 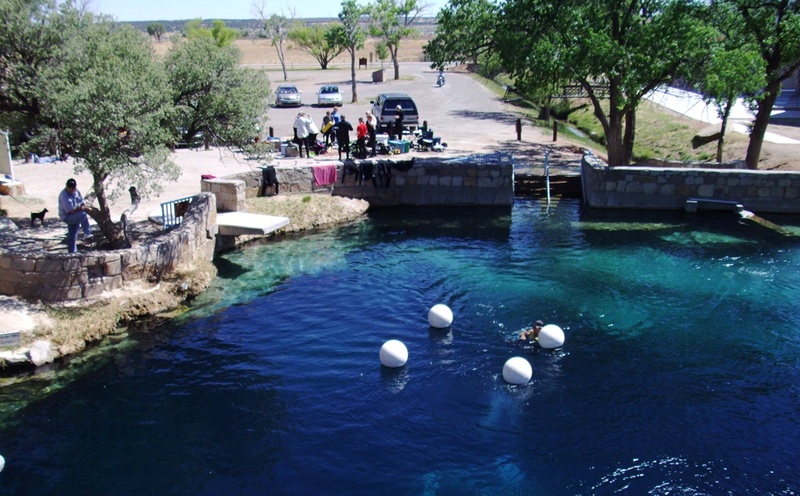 The Santa Rosa deep hole was an ideal spot for scuba divers until two young divers became trapped in the pool’s tight underwater caves. After their deaths in 1976, the entrance to the caves was covered with a metal grate and all but forgotten. 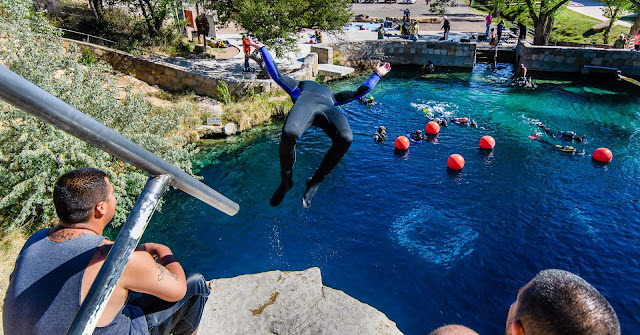 In 2013, a group of adventurous divers were allowed to past the grate with the intention of mapping the system of unexplored caves. 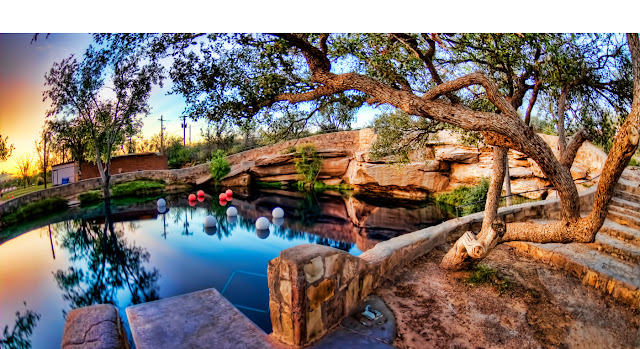 Therefore, their early probing was stymied by decades of debris and too tight passages but the excavation continues with a watchful eye towards safety lest further deaths close off the secretive caverns for decades to come. It’s still unclear how far back the caves go. 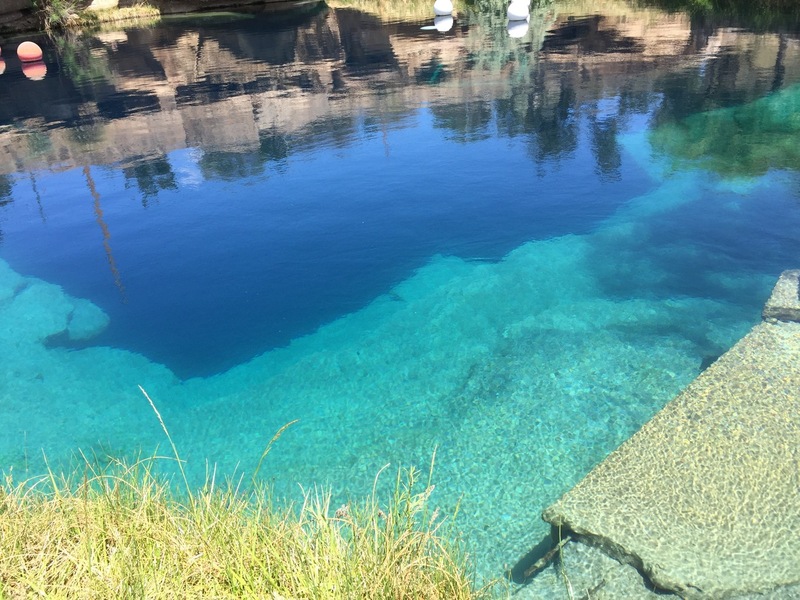 The pool is open for public use with no lifeguards on duty, however another sad incident took place on March 26, 2016 when 43 year old California diver was exploring passageways where he became trapped and drowned. 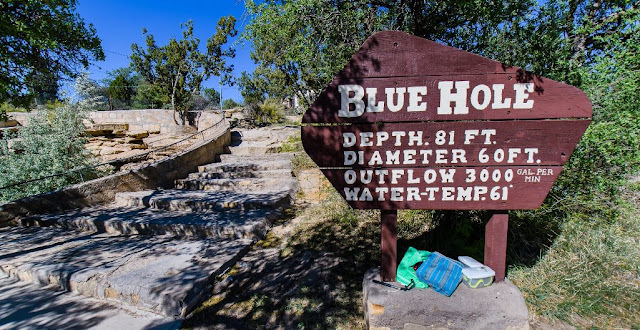 In fact Santa Rosa Blue hole is a wonderful stop, where divers can jump off the rock or enter via the stairs across from the jumping rock. 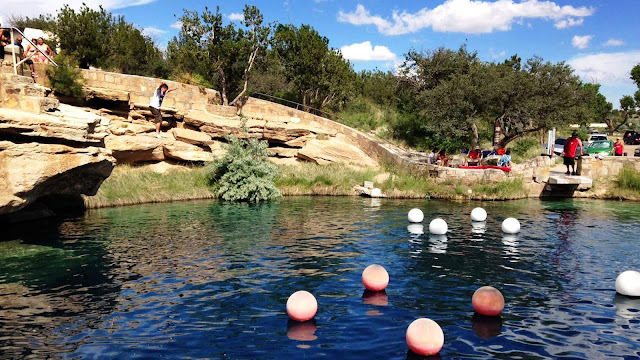 Santa Rosa is known as the "City of Natural Lakes," is overflowing with pristine bodies of water that provide an invigorating blue splash in an otherwise arid landscape. The Blue Hole, fed from an underwater aquifer, about 8,000 diving permits are issued per year from around the world. A super place particularly in a hot day, as water is cold and refreshing and if you get there earlier in the day before it gets churned up it is crystal clear. It is like a slice of the Caribbean in the middle of New Mexico.